I’m loving this! This is making blogging life easy! Thanks yinz! We started this last MonDEE with a simple pic and it continues to roll. Imagine walking through the aisle of the Mount Nebo Pat Catan’s … you’re perusing along the wood-thingy things thinking..”hmmmm.. I wonder if they have a… wait…waaaaaaaaaaaaaaaaaaait god darned minute! What the????? ?” And then you chuckle and move on wondering WHO in the #$%# would do something like that? Well, the followers of this blog are doing it! 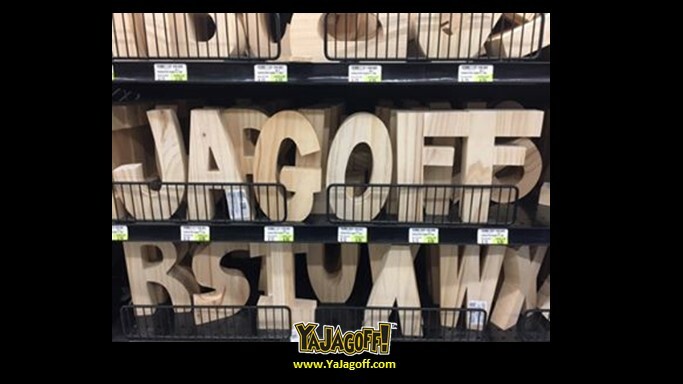 And, not only are they proliferating the Jagoff work around town, they are bringing smiles on people at a time when more smiles are needed! I feel like we need a hidden video of people’s reactions to these things! Ok.. if you’re new here, scroll back in the days on here and you will see the previous displays! We have more in emails to come up. But send us MORE! Get more aggressive. Just don’t deface anyone’s property, Ya Jagoffs! Previous articleWhat’s a Unity Tree? Gracefully Executed, or Sprezzatura Ya Jagoff!